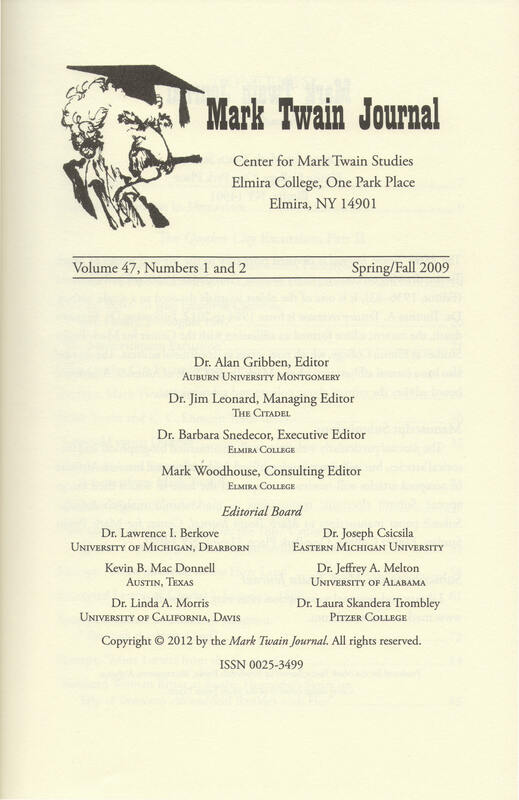 In 2012 Alan Gribben became editor of the Mark Twain Journal, one of the oldest academic journals (founded in 1936) devoted to a single author. Dr. Gribben is only its third editor. The Mark Twain Journal began its 80th year of publication in 2016. Visit the Mark Twain Journal website for information about subscriptions, submissions, and past issues.